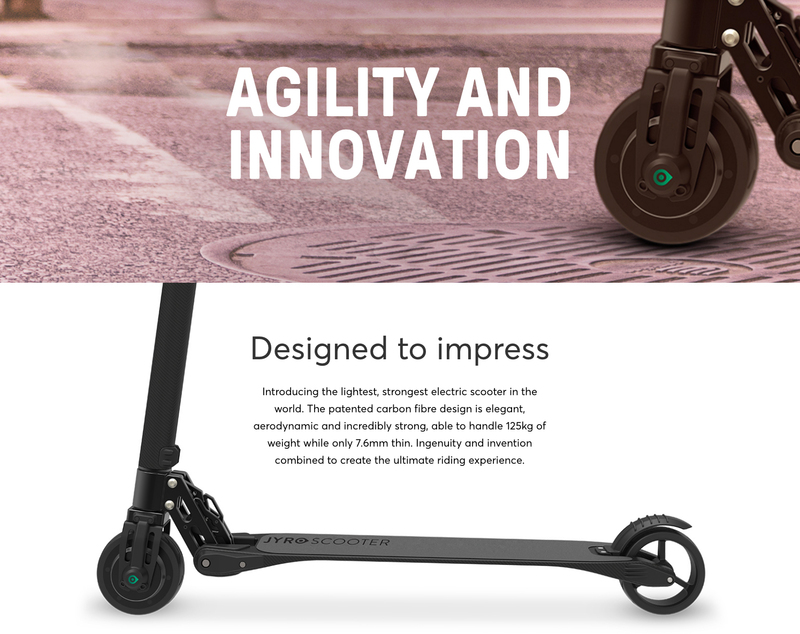 The stylish and innovative Jyro Scooter by Jyro is the latest in personal transport technology. 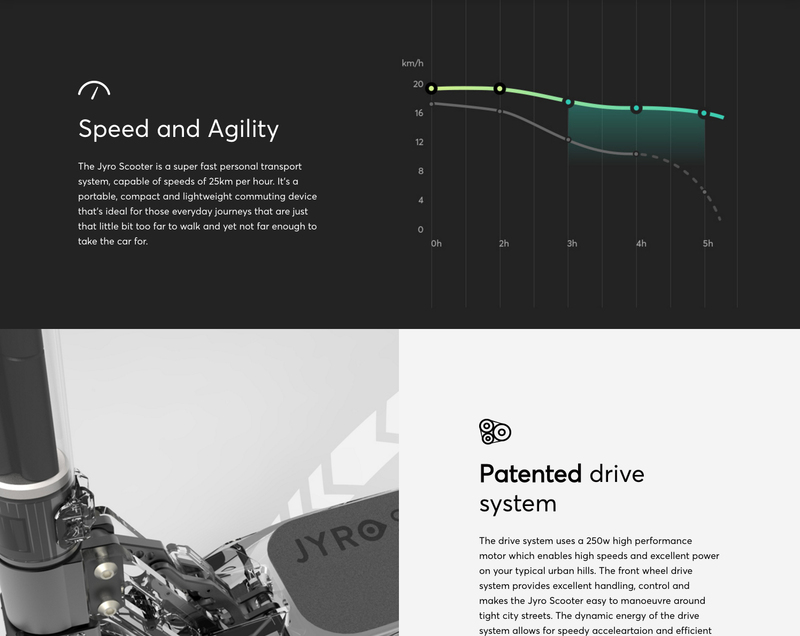 The Jyro Electric Scooter is both lightweight and fast. 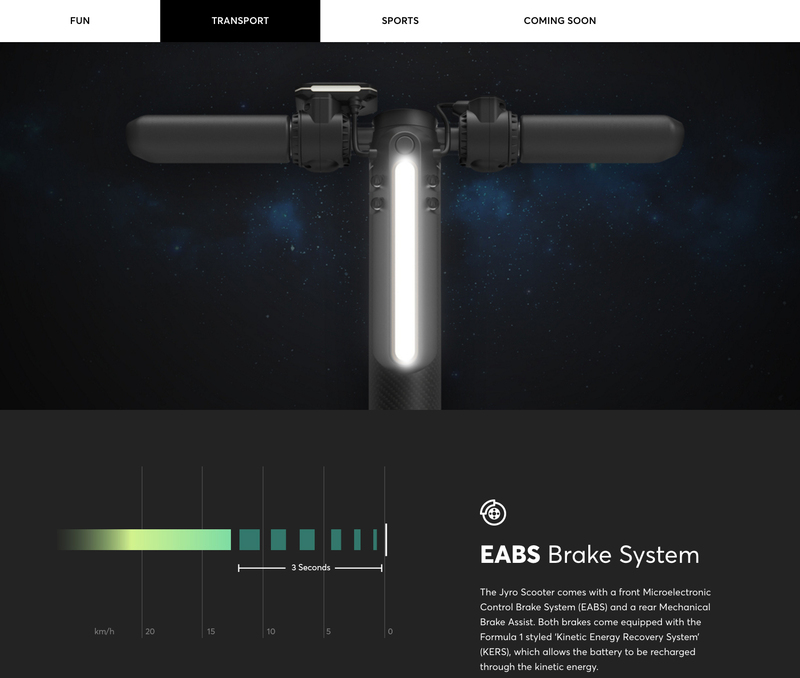 We’ve developed a brand new responsive E-commerce webshop, based on WordPress & Woocommerce, with completely custom checkout, product variations and some neat CSS animations. Check out the final product! Using latest advanced CSS technologies to achieve double sided cards for saving space for important content. 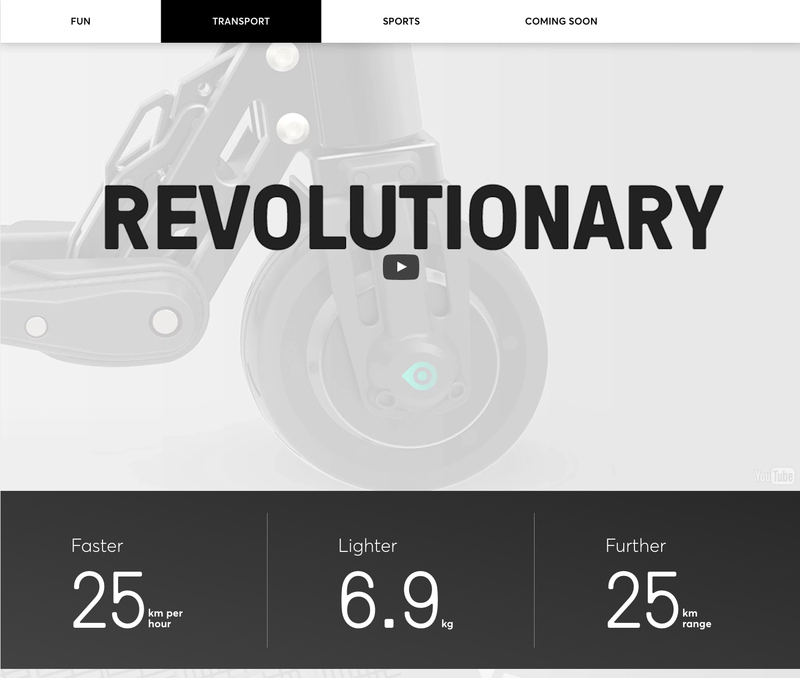 Switching between is only a click away and a nice shiny 3D transform. 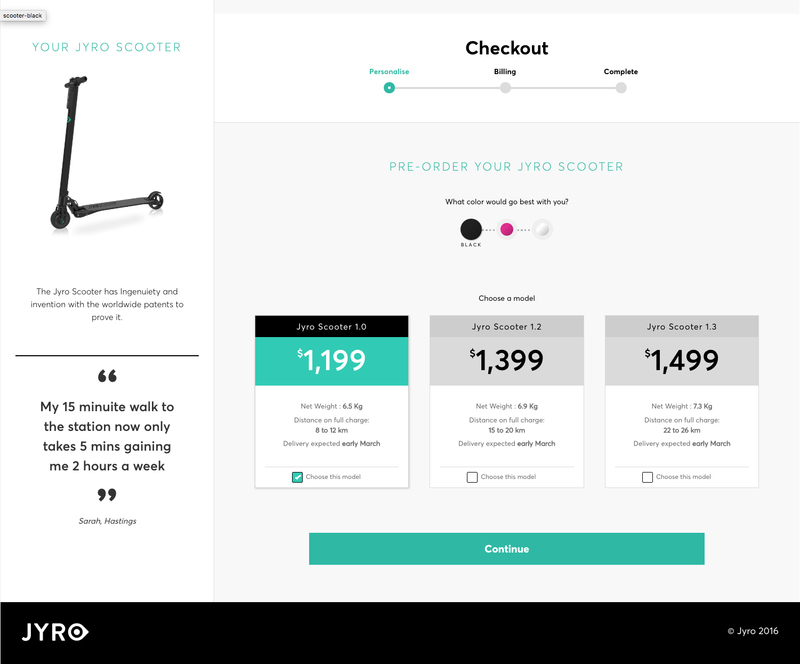 Cart / Checkout pages working with product variations and their custom meta data, even if its quite limited in WooCommerce, we can make everything possible.